This card is your peace of mind if you carry a handgun, keep a handgun in your vehicle, or keep a rifle, shotgun or handgun in your home for self defense. The USCCA SHIELD firearms self defense legal protection remains the Number 1 System of both criminal and civil legal protection available in the United States. No other system is as comprehensive, providing funding, and being your advocate from the start to the finish of your legal defense. In my estimation there is no reason not to join the USCCA. The United States Concealed Carry Association is a top, informative organization with excellent, expert writers. It provides archives of valuable and seemingly endless articles. It puts out a top of the line magazine rivaling any gun magazine. The Self Defense SHIELD is a legitimate, comprehensive, self defense shooting protection insurance and member benefit that takes its members from start to finish in self defense cases. The SHIELD includes legal protection if your firearm is reported stolen and used in a crime. The benefits of the SHIELD are for all 50 states. It is not a law firm limited to state licensed practice. That means if you travel, no matter the state you're in, you're protected. [As of 07/2018, to my knowledge there is no other organization offering legal protection that comes close to providing the benefits equal to the USCCA. See this video to get full perspective on the value of the USCCA Shield protection. NOW: Here's why the SHIELD is the clear choice for protection against criminal or civil litigation in a self defense shooting. IMPORTANT: Increased S.H.I.E.L.D. 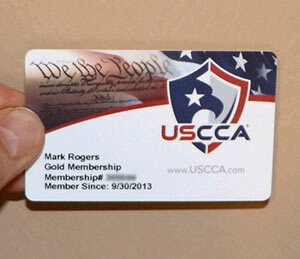 benefits for all levels of USCCA Membership. Specific dollar amounts are dependent on which level membership you own. If you are arrested after a self defense shooting, these benefits are yours as part of your Membership to the USCCA. Wage Compensation up to $750 per day while in civil court. Your gun AND All Other Weapons Covered (in any self defense case). Local Attorney Referral - But freedom to choose your own attorney. And much more. Just click over to the USCCA Membership page for details on the SHIELD protection. *Concealed Carry Magazine: Rivals any firearms publication for excellent information, reporting, training, etc. *Hundreds of Online Articles: Available in their archives. *The USCCA Facebook Page: Valuable, informative and fun. *The organization has achieved a reputation that allows it to offer excellent periodic resources with special member price values. *The membership is now an excellent value at any level. Last but not least, this organization is promoting and defending gun rights for law abiding citizens across the U.S.
USCCA Magazine Subscription Only (Print and Digital) - Click for subscription options.